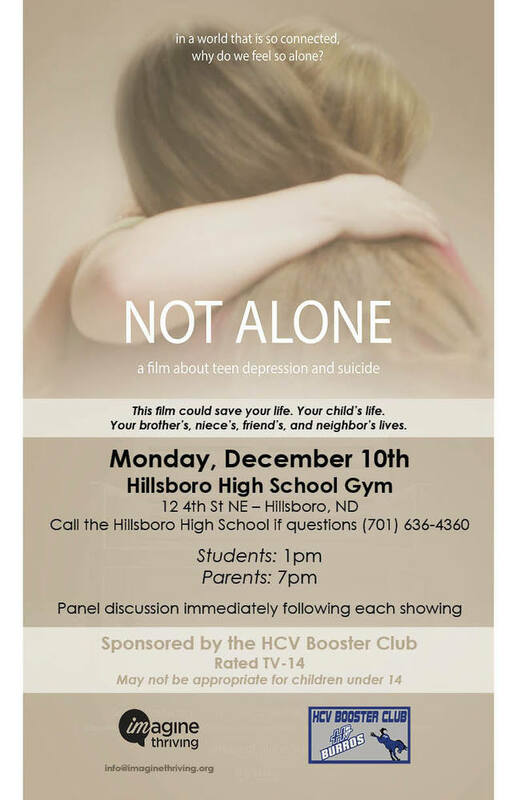 NOT ALONE - this is a film about teen depression and suicide. This film could save your life. Your child's life. Your brother's, niece's, friend's, and neighbor's lives. Call HHS if you have any questions. 701-636-4360. Students will view at 1 PM and Parents will view at 7 PM. Both are at the Hillsboro High School gym. Panel discussion will follow immediatedly after the showing. Click here to learn more about NOT ALONE.